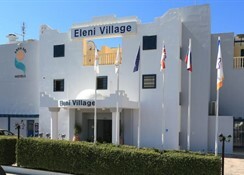 Eleni Holiday Village caters well to families, especially on a budget as it provides a comprehensive array of food and leisure options as well as being ideally positioned in Paphos to easily access its top attractions. Eleni Holiday Village is less than 20 miles from Paphos Airport whilst the nearest beach can be walked to in just a couple of minutes. Guests are afforded a clean and comfortable stay with well-decorated rooms, equipped with a private balcony or terrace. There are two restaurants serving both international dishes and traditional local food as well as offering a wonderful selection of local wines. Stay active and have fun by choosing from a great set of activities such as the swimming pool, water volleyball, floodlit tennis court, billiards and fitness centre. Children will love having their own pool and a playroom. A short walk will take you to lots of great restaurants and bars that cater to many global tastes whether, Italian, Chinese or authentic Mediterranean food, you’re bound to find something you love. And there’s easy access to top attractions such as Paphos Zoo, Paphos Waterpark and the Tombs of the Kings. 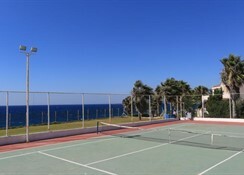 Eleni Holiday Village sits less than 20 miles from Paphos International Airport. The nearest beach is a quick and easy 300-meter jaunt away. It’s well located near many fine restaurants and bars as well as two easily accessible supermarkets for food shopping. The historic attraction of Tombs of the Kings is just a 5-minute car ride south with other popular historic sites, Paphos Archaeological Park and the Medieval Castle of Paphos less than a 10-minute car journey. Kings Avenue Mall is one of the best spots to go for retail shopping and is located just three miles south in central Paphos. There are also two water parks just a 15-20 drive south. 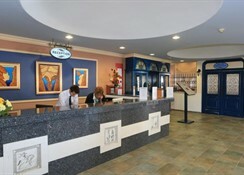 Eleni Holiday Village has 141 rooms, these include 75 studios and 66 one-bedroom apartments. All rooms are generally spacious as well as being comfortable and tastefully decorated and all feature either a private balcony or terrace. You will find all rooms to be well-equipped and furnished with essential amenities such as a telephone, air-conditioning, safe deposit box and much more. In addition, both studios and one-bedroom apartments are furnished with a kitchenette that comes with a toaster, kettle, fridge and more. Both room types are spacious with an open plan lounge. The main on-site restaurant is situated indoors and serves recognisable international dishes from around the world as well as local specialities. Breakfast is served as a buffet. The open-air tavern provides al fresco dining during the summer months. There are also two bars including one located by the pool serving an excellent selection of beers and exotic cocktails as well as speciality coffees and snacks. If you want to explore the food and drink options around the village, you’ll find plenty of places to stop at. Try great hearty burgers and steaks at Mammas Steakhouse or local delicacies at The Famagusta Tavern to name but a few options. 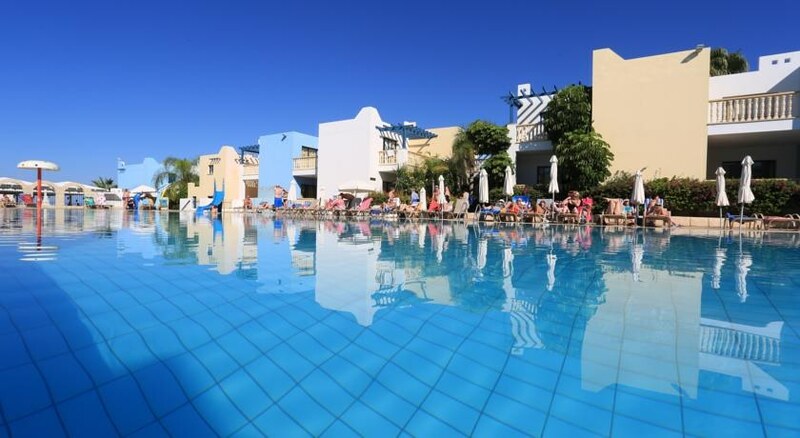 Eleni Holiday Village has two swimming pools, an island type outdoor pool and a heated indoor pool that is open in the winter time as well as a separate children’s pool. There are plenty of activities at the holiday village to try, including tennis, water volleyball, water basketball as well as a gym, darts, billiards and table tennis. There is also a playroom for children. Eleni Holiday Village Puts on great family-friendly entertainment each day which may include live music and folkloric shows. Out in Paphos itself, there’s fun to be had at two swater parks, the Archaeological Museum and Archaeological Park and Paphos Zoo. If you’re looking to stay up all night then there are also a number of nightclubs.